Carpet installed in public projects must be Cradle to Cradle certified and meet other specifications for health and sustainability. San Francisco is the first municipality to mandate Cradle to Cradle certification, requiring carpet installed in city-funded projects to achieve Cradle to Cradle Silver Certification. Photo: Stephsdog. License: CC BY-SA 4.0. In pursuit of its goals to reduce waste and increase adoption of safer alternatives to harmful building products, San Francisco has established a new regulation for carpet installed in city-funded projects like public schools, libraries, and government buildings. 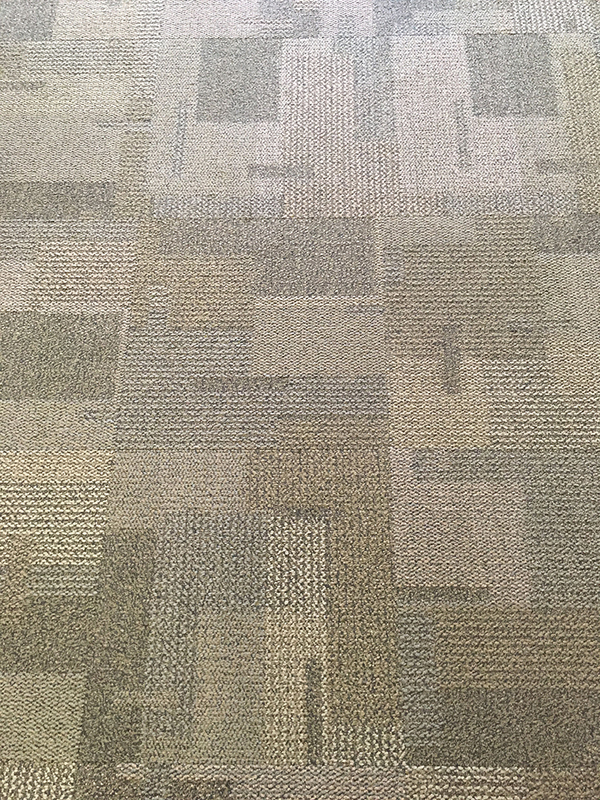 San Francisco Department of the Environment developed the requirements of the regulation over a period of about two years based on various studies of the lifecycle health and environmental impact of carpet materials, and consultation with architects, manufacturers, and various certification bodies. The regulation, which largely limits the use of carpet to hard-backed carpet tiles because they allow for easy and low-waste replacement, requires products that are Cradle to Cradle Certified Silver (v3.1) or better. This makes San Francisco the first municipality to mandate Cradle to Cradle certification. Additionally, products must also have a Carpet and Rug Institute (CRI) Green Label Plus certification, an environmental product declaration, and either a Health Product Declaration or a Living Building Challenge Declare label. Products must also contain at least 45% recycled content (minimum 10% post-consumer), and be free of flame retardants, antimicrobials, and per- and poly-fluoroalkyl substances. And the carpet backing must not contain any coal fly ash, PVC, polyurethane, or synthetic styrene butadiene latex. Adhesives used to install carpet, besides meeting California’s air quality standards, must also have a CRI Green Label Plus certification as well as a Bronze level or higher Material Health Certificate from the Cradle to Cradle Products Innovation Institute (Silver or higher for wet adhesives). According to the SF Approved database, which lists all products and services that meet the city’s health and environmental requirements, there are currently only three brands with products that meet all criteria included in the regulation: Shaw, Patcraft, and Tandus.